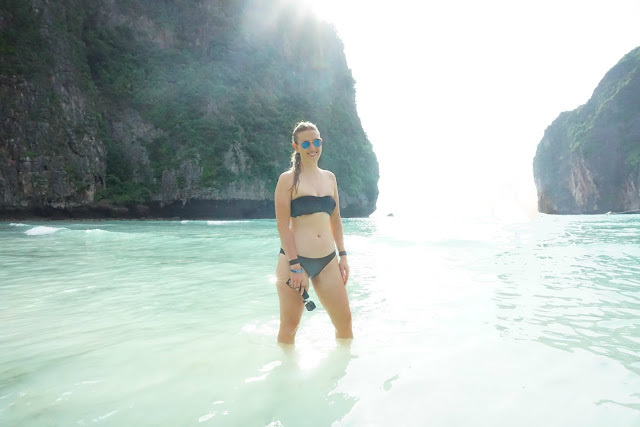 I absolutely loved Phi Phi Island – I’m pretty sure it’s my new favourite place in the whole of Thailand! 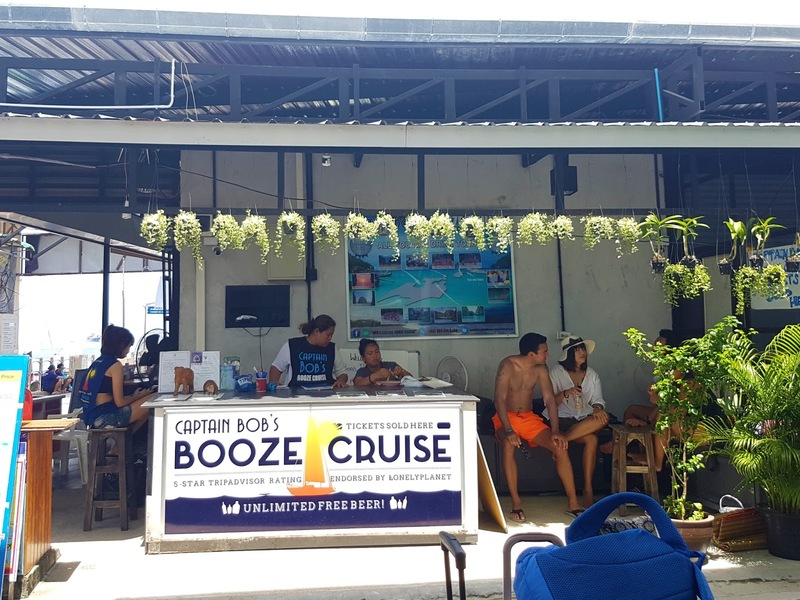 I only spent two days and one night there and it definitely wasn’t enough, but I had such a fantastic time and that was all thanks to Captain Bob’s Booze Cruise. As a solo traveller, I love to meet new people and as I’m naturally pretty shy, a few beers sure do help. This cruise was hands-down incredible and if you’re heading to Thailand and Phi Phi Island yourself and love to have a good time – this tour is for you. You get to have fun and socialise in the most breathtaking places, feed monkeys, stand up paddleboard, snorkel and swim in crystal clear waters, it’s a whole day of unlimited fun and the guides make it even more so. I would do this tour again in a heartbeat if I went back! Once on board, everyone introduced themselves and where they were from as we cruised off. 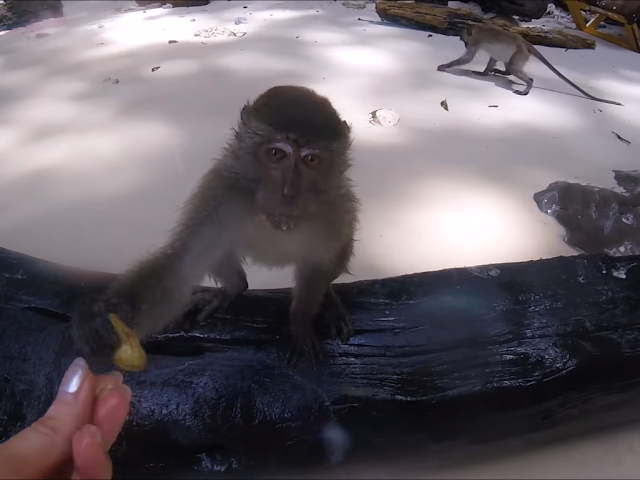 Our first stop of the day was Monkey Cave where those brave enough got to feed the wild monkeys. We were told that they once stopped feeding them because they were becoming too reliant on it, but then they started eating rubbish instead which is obviously terrible, so feeding them peanuts isn’t a bad thing. 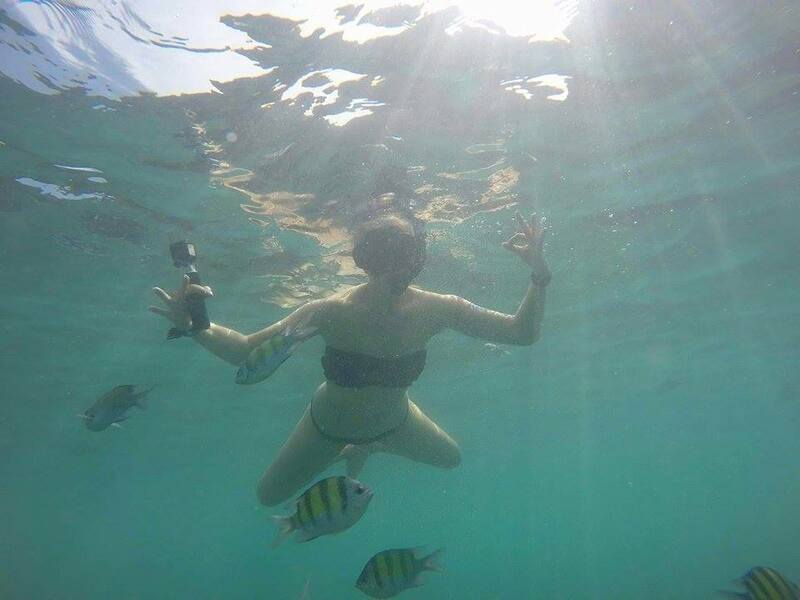 It was a beautiful area and a big size so that everyone could go off and snorkel with their own space. 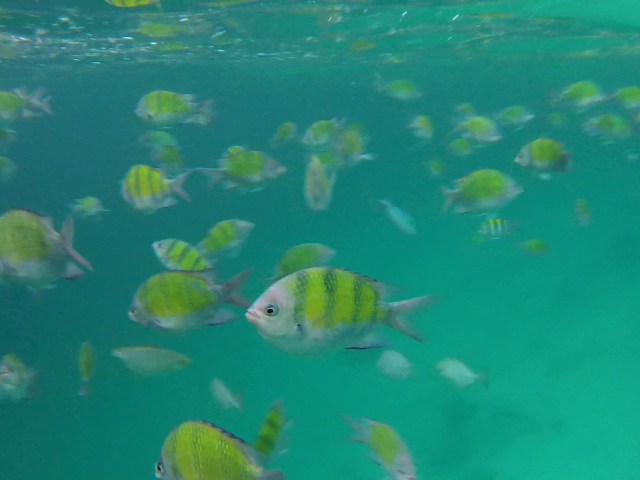 There were so many colourful fish around the coral – it was the best snorkelling I’ve ever done! 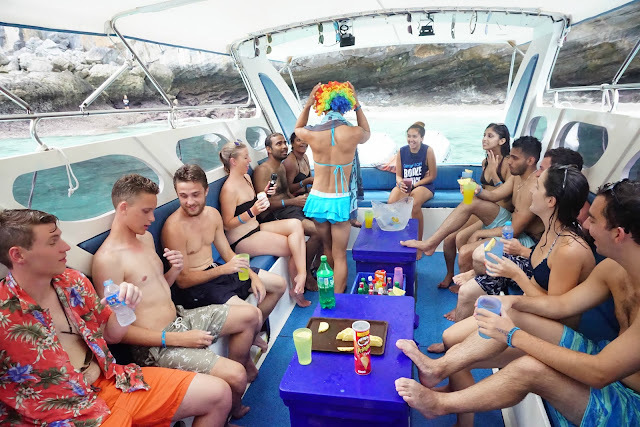 Next up we got to enjoy ‘Diaper Drinking’ in Pileh Lagoon which I had never heard of before – but it’s absolutely genius! We stopped in a gorgeous cove area and we got to jump/backflip off the top of the boat if we wished. Even though I was on a booze cruise I didn’t want to drink too much, as I wanted to remember this day! And what a day it was. It was truly so awesome seeing Maya Bay it in real life. I was pretty glad I happened to be there during the low season, as there weren’t that many people and I’ve heard it can get very crowded during peak times. We got to spend at least an hour there which was perfect. The whole day wasn’t rushed at all, there was plenty of time to really enjoy each place. Everyone got a tonne of photos and there was even a classic jumping group shot at the end. Captain Bob’s Booze Cruise was one of the highlights of my whole month in Thailand. There was a range of people on board aged between 20-30 at a guess. 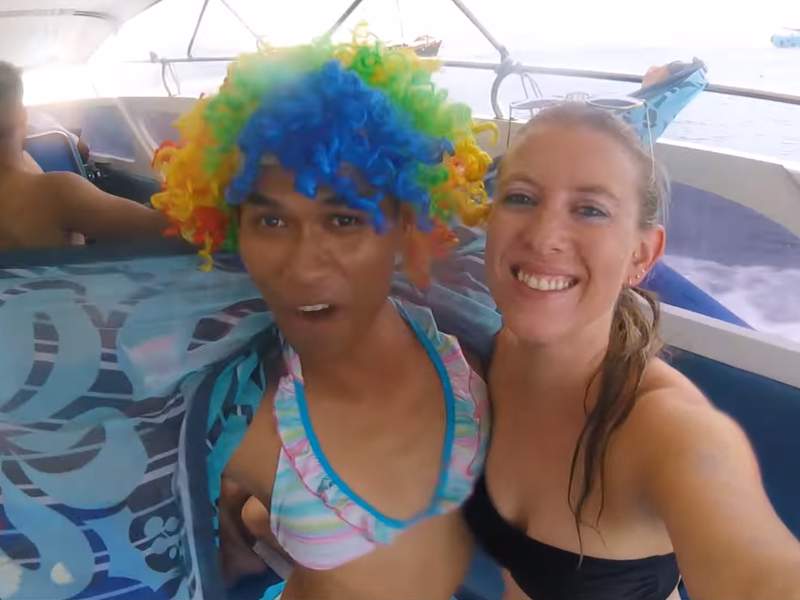 There were solo travellers like me, friends, couples – one of which was even on their honeymoon! There was also a couple who couldn’t swim and that was not a problem at all, they were helped throughout the day and made to feel comfortable in the water with their life jackets and guides nearby if needed. This tour is perfect for anyone wanting to have a good time and party in absolute paradise. Everybody is there to have a blast and it’s great vibes all round. 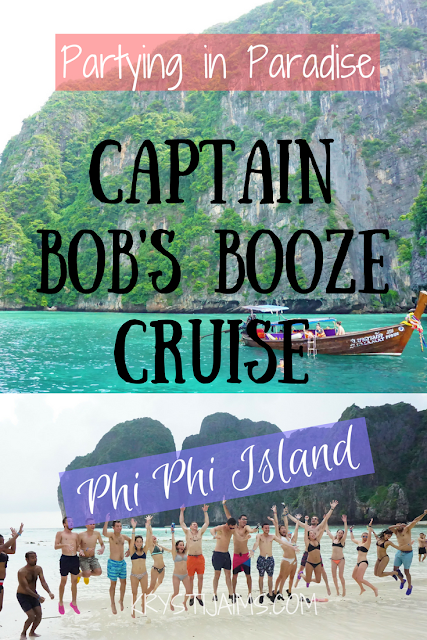 I highly recommend it if you’re going to Phi Phi Island (which you definitely should! ).